DE JONG, J., 120 years of Japanese painting in Shijoshi styles. A catalogue, Den Bosch. 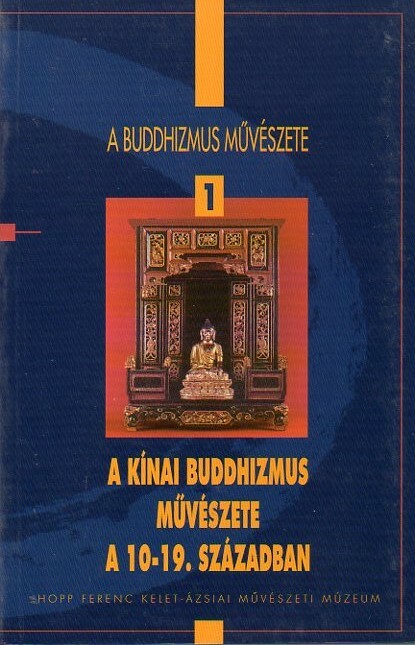 Sales catalogue. Soft cover 23 x 17 cm. 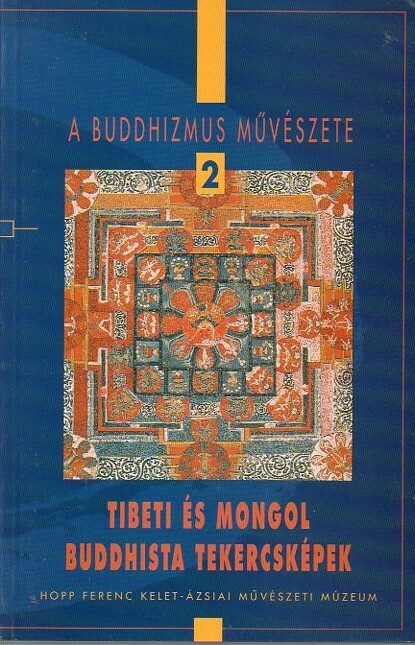 around 80 pages with 33 paintings depicted. Good copy. 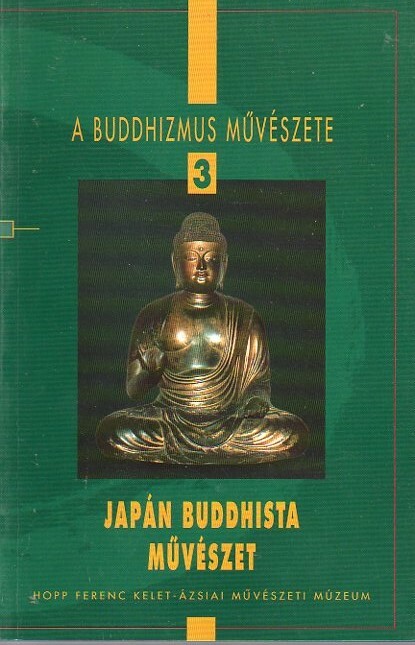 Booklet on the Buddhist Paintings of the Horyu-ji temple. Soft cover 23 x 18 cm. 52 pages of which 16 colour pages. Text in Japanese. ALDEN, D., CHARLES BOXER: an uncommon life, Lissabon 2001(Fundacao oriente). Soft cover 28 x 21 cm. 616 pages and 20 pages with photographs. "Charles Ralph Boxer FBA (8 March 1904 at Sandown on the Isle of Wight ? 27 April 2000 at St. Albans, Hertfordshire) was a historian of Dutch and Portuguese maritime and colonial history. In Hong Kong he was the chief spy of the British army intelligence in the tumultuous years leading up to World War II. As a major in the British Army, Boxer had resigned from the service in 1947, when King's College London offered him its ?Camões Chair of Portuguese?, a post founded and co-funded by Lisbon, and, at the time, the only such chair in the English-speaking world. During this period, the School of Oriental and African Studies of the University of London also appointed him as its first Professor of the History of the Far East, serving in that post for two years from 1951 to 1953. On retiring from the University of London in 1967, Boxer took up a visiting professorship at Indiana University, where he also served as an advisor to the Lilly Library located on its campus in Bloomington, Indiana. From 1969 to 1972, Boxer held a personal chair in the history of European Overseas Expansion at Yale University. Boxer?s works covered the history of early European intrusions into Japan and China during the sixteenth century, and splendid accounts of the opulence and decline of Goa, seat of Portugal?s empire in Asia. In over 350 publications, all of the highest order of scholarship, Boxer wrote on sixteenth-century naval warfare in the Persian Gulf, the tribulations of the maritime trading route between Europe and Asia, a sparkling overview of Brazil during the eighteenth century in the age of gold strikes and frontier expansion, magnificent syntheses of both Dutch and Portuguese colonial history." Lot 37: Shibukawa Shunkai [1639-1715], Konten Shinzu[a new map of the Heavens} described on pages 62-67. A bronze and copper celestial globe. (see photograph below). A bronze and copper celestial globe, diameter 55cm, overall height including the bronze stand, 65cm, constructed from two beaten bronze alloy hemispheres, joined at the celestial equator. The plane of the ecliptic ('the yellow road') and the celestial equator ('the red road') are made up in a continuous copper strip graduated in degrees, the ecliptic inscribed with the 8 positions of the calendar: Shumbun (vernal equinox); Rikka (first day of summer); Geshi (summer solstice); Risshu (first day of autumn); Shubun (autumnal equinox); Ritto (first day of winter); Toji (winter solstice) and Risshan (first day of spring). The globe is profusely covered with 1460 stars, making up 248 constellations and 57 individual stars, the stars denoted by metal pins secured through the bronze sphere, with the raised pinheads silvered, gilded or blackened (eight star pins lacking). Those stars in the principal constellations have gilded starpins and are described in gilded characters, the other constellations have silvered or black star pins and are described in silver characters. Each constellation system has the stars joined together by silvered lines, slightly raised from the copper surface, created by engraving a soft line and filling the line with a silver alloy. The milky way with its division into two 'streams' is 'drawn' onto the globe by finely pitting the bronze surface, sections showing traces of old gilding. Two single-line latitudinal circles are drawn onto the sphere, the circle of perpetual visibility (in the north Polar region), and the circle of perpetual invisibility (at the south pole), the latter described on the globe as "The area [south of the] 36th degree always hidden and cannot be seen", the south pole lettered on the axis 'Nankyoku', and around the South in seal script is the title of the globe, Konten shinzu, "A new map of the heavens", together with the character 'Rojin', 'old man' [of the South Pole]. The globe is also divided longitudinally into 27 lunar lodges or mansions, each of varying degree widths, making up lunar lodges 1-19, 21-28. Each lunar lodge is defined by a principal constellation or star group, represented by gilded stars and characters. The globe set on an iron axis, the head and foot of the axis with traces of elaborate gilded decoration, the southern axis with the character 'Nankyoku' [South Pole]. The southern axis with a small indent forming the ball which inserts into the socket of the mounting of the 'dragon style' bronze stand. The stand comprising two dragon heads of unequal height, joined by a fashioned scaled body forming the cross stretcher between the two 'heads', the bronze stand mounted on a late 19th century yellow marble stand (lacking the original horizon circle). 1. An almost identical globe in the Eisei-Bunko [National Museum of Science], Tokyo. This example described as an 'Important Cultural Object'. The Eisei-Bunko globe has an almost identical diameter described variously as 55 cm (Der Globusfreund 1990, vol 38/39, pp 173-177, List of old Globes in Japan), and 52.8 cm [Exhibition Berlin, Japan und Europa 1543-1929 No 7/21; Exhibition Tokyo, Bridge between Japan and the Netherlands, 1998]. This globe has a very similar construction, and comparable 'dragon' stand, but is mounted on a wooden base, on which is inscribed an historical account of Chinese and Japanese astronomical instruments and some comments on the celestial globe. The globe is ascribed to the maker Tsuda Tomimasa and dated Kambun 13 . The property of the Hosokawa family. 2. A second bronze globe in the Kushno-in Temple, Hirakata-shi, diameter variously described as 55cm [Der Globus freund 1990 opp cit.] and 52 cm [Harley and Woodward (eds). The History of Cartography, vol.2, pt.2 p.469. List of Terrestrial globes]. This globe is ascribed to the work of the priest Sokaku, after Shunkai's work, dated around Genroku 15 (1702). This celestial globe was purchased in Japan during the period 1869-73, by Oscar Heeren (1840-1906), whilst on diplomatic service to that country. Heeren, a German citizen who had previously lived in Peru, came to Japan as both a diplomat and a businessman in 1869 soon after the so called Meiji restauration of 1868, a time when the influence of German culture on Japan was growing. Lutz Walter, in Japan: a Cartographic Vision, describes Heeren attending early meetings of the OAG (Deutsche Gesellschaft fr Natur- und Völkerkunde Ostasiens) in Yokohama and Tokyo. This globe was moved to Europe soon after 1873 and has passed by descent through the family, unknown and unrecorded until its recent discovery. Shibukawa Shunkai, also called Shibukawa Harumi, was one of the greatest Japanese astronomers. He was born in Kyoto, the son of Yasui Santetsu (1590-1652), who was master of the game of go and a controller of one of the four schools of go. As an infant his name was Yasui Rokuzo, changing his given name to Santetsu after his father's death in 1652. In 1702 he changed his name again to Shibukawa Shunkai. Up to the age of 11 he lived in Kyoto travelling to Edo for the autumn and winter, but from 1650 to 1667 he travelled Japan studying Chinese and Japanese classics, and soon became interested in astronomy and science. Between the ages of 14 and 15 he studied Shinto and Confucianism with Yamazaki Ansai, and at 18, worked on calendar science with Okanoi Gentei, the physician of the Emperor and under Tsuchimakado Taifuku, the master of the Chinese Yin-yang (onyô - dô) Science at the Imperial Court. We know that in 1667 he stayed for a short time with Hoshuna Masayuki in Aizu Province, Hoshina was the uncle of the 4th Shogun Ietsuna, and a pupil of Yamazaki Ansai. From 1786 Shibukawa settled in Edo as the official astronomer of the shogunate. Here he concentrated on his astronomical work, publishing several celestial maps and books in particular in 1698 his Tenmon Kaitô (Book of Knowledge of heaven and the constellations). His earliest surviving celestial work is the bronze celestial globe, the base dated 1673, now in the Eisei Bunko, Toykyo. In 1677 he published his first important star map the Tenmon Bun'ya no su (Map showing divisions of the heaven and regions they govern), a circular star map based on the ancient Korean star map of 1395 the Ch'onsang yolch'a punyajido. In this new star map Shibukawa added a Japanese adaption of Chinese field allocation astrology in which the terrestrial regions were associated with 9 celestial divisions based on various groupings of lunar lodges. Shibukawa also put forward a new calendrical system to replace the Senmyo (Chinese Xuamning) calendar. This new calendar the Jokyo calendar was compiled from Shibukawa's own astronomical observations rather that Chinese theory. This, the first Japanese calendar, was adopted in 1684, and earned Shibukawa his apppointment as official astronomer. In this high ranking position Shibukawa became a dominant influence on Japanese astronomy. Later in his life he reworked his 1677 star chart, the Tenmon seisho zu (Map of the arrangement of stars and constellations), making various amendments to star positions. This chart was published by his son Hisatada. Shibukawa's influence was considerable; the celestial maps of Iguchi Tsunenori 1689 and 1698 and Namara Johaku, 1692 are all copies of the Tensho retsuji no zu, and even as late as 1779, Shibukawa's work formed the basis of celestial mapping. For globes, as noted before, only two bronze globes relate directly to Shibukawa's own lifetime, a further plaster globe, diameter 23cm, owned by Kayahara Hiroshi at Tsu ?18th century is also based on Shunkai's work (see History of Cartography, vol 2, book 2, p. 469), and a paper globe, dating from 1701 is at Doshisha University, also based on the Tenmon Bun'ya no zu. For terrestrial globes, two small paper globes, 24cm and 33cm diameter, survive dated 1690 and 1697, and two later globes in the mid 18th century are based on his geographical work. The characters are classical Chinese and the celestial cartography is based on Chinese and Korean models. This attractive celestial globe depicts the night sky in a typical East Asian style down to within 35 degrees of the South Pole, representing those stars visible during the course of the year from about latitude 36 deg N. (about the latitude of Kyoto or Tokyo). In the south polar region the sky is unmapped, which is not unusual as only globes showing Jesuit influence depict the far southern constellations in any detail. These stars are of course invisible from the mid northern latitudes. The globe represents the stars and constellations as viewed from outside the universe, a customary concept, and a direct reversal of the forms used on star maps which depict the stars as they would appear looking up into the night sky. Unlike European globes which give orders of brightness to stars by using different sized symbols, the East Asia globe denotes all stars as a standard circle. Traditionally, based in early Chinese work the standard number of constellations was 283, totalling 1464 stars (Ptolemy defined 48 constellations with 1022 stars) however the total number of stars visible to the unaided eye in the course of a year is perhaps some 4000. The circles shown on the globe are standard, the celestial equator, ecliptic, circle of perpetual visibility and invisibility. The longitudinal division of the globe into lunar lodges is standard, however on this globe 27 lodges are depicted rather than the normal 28, the missing lodge being no. 20 (Zuixi) which is left out because although in ancient times it had a width of 1 degree, by AD1300 the star on which it was based had disappeared. The situation was rectified in the famous star map by Schall von Bell in 1640 which reversed the adjacent lodges. All later Chinese globes and maps follow this pattern. But the maker of this globe was clearly unaware of Schall's work. 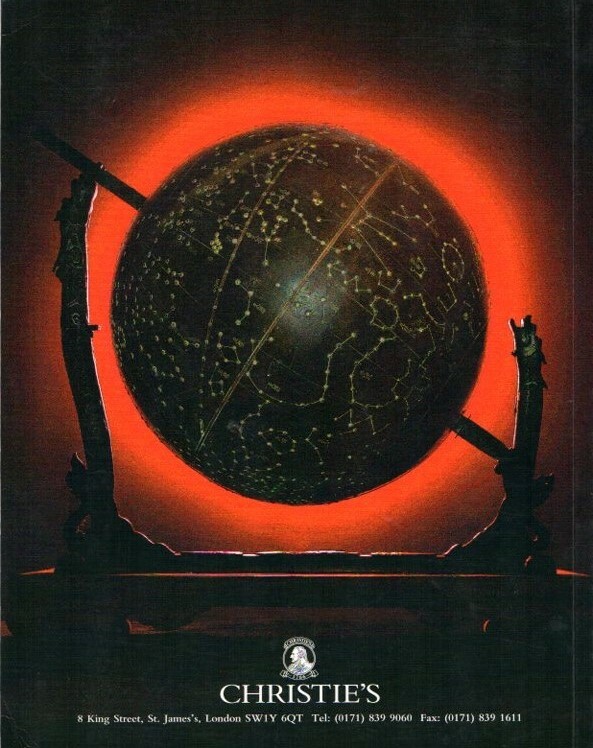 A report on this globe by Professor F. Richard Stephenson, Professor of Physics at Durham Univeristy, indicates that although the relative positions of the equator, ecliptic and width of lunar lodges are tolerably accurate, some of the star positions are in error by as much as 10 degrees. For example the lunar lodge constellation Tei [Chinese di] is placed 10° further north than marked on this globe, and again the lunar lodge constellation Gyu [Chinese Niu] is shown south of the ecliptic; its true position is north of the ecliptic. The number of such errors is considerable, however many of these mistakes are to be seen in the depiction of the stars on the Eisei-Bunko globe dated 1673, and there is a close correlation of the star positions between the two globes although there is a variation of the position of the characters, namely the stars. With regard to the omission of the 20th lunar lodge it is interesting to compare the two star charts by Shibukawa. On the 1677 chart the 20th lodge is present but by 1699, this lodge has been removed altogether, a feature unrelated to any Chinese forms from this period or later, suggesting that this globe was made in the later decades of the 17th century. Interestingly Kazuhiko Miyajima, Professor of Astronomy at Doshisha University in his article, Japanese Celestial Cartography before the Meiji Period, History of Cartography, vol.2, pt.2, pp.579-603, discusses defects in Shibukawa's approach to star positioning, "To fix the positions of constellations, the position of one star was measured and entered on the map; the other stars were then added by the eye." Such an approach made by converting a flat star map onto a 3-dimensional surface would undoubtedly lead to some errors appearing. This discussion of error is in fact an interesting aspect relating to these bronze globes. There is no tradition for the construction of globes, either terrestrial or celestial, in Japan. The first globes to be seen in Japan arrived with Europeans in the late 16th century and although early on in the 17th century attempts may have been made to copy them, the only globe to be attributed to this period is a paper celestial globe, 27 cm diameter, in Colombia University Library, New York, (E.L. Yonge, A Catalogue of Early Globes, New York, 1968), thought to be ca. 1630, but unconfirmed and not discussed in any Japanese literature on the subject. The earlist celestial globe after this is the Shibukawa Eisei-Bunko bronze globe dated 1673 on the wooden stand, and two terrestrial globes 1690 and 1697 by Shibukawa. Given this lack of expertise in constructing a globe of any type, despite the natural talents of the Japanese metalworker, it is not surprising that errors might appear. It is possible that the idea for a metal globe came from the news of Verbiest's cast bronze celestial globe (1.5 m diameter) made in 1673 for the Imperial Observatory at Beijing. This magnificant Japanese bronze globe, dating from the last quarter of the 18th century, is based on the star formations of Shibukawa Shunkai, most probably constructed by a member of his circle, perhaps by a pupil or even his son, for presentation to a leading Japanese person. Its reappearance raises a number of questions about these three bronze globes, which up to now have not been fully examined in the context of Shibukawa's work. Could they have been used as grand objects onto which predictions, due to comets and other celestial sightings, passing through the sky could be discussed? HOWEVER AS A JAPANESE OBJECT AND AS AN EXPRESSION OF THE IMPORTANCE OF CELESTIAL INFORMATION TO JAPANESE CULTURE AT THAT TIME, THIS GLOBE IS OF CONSIDERABLE IMPORTANCE, AND MUST RANK AS ONE OF THE MOST INTERESTING DISCOVERIES IN THIS FIELD IN RECENT TIMES. FORRER, M. & VOS, K., Dans & Theater in de Japanse Kunst, Leiden 1983. Soft cover 21 x21 cm. 36 pages with 25 illustrations of Noh masks and Kabuki actors. PROF. DR. KARL FLORENZ, Dichtergrüsse aus dem Osten. 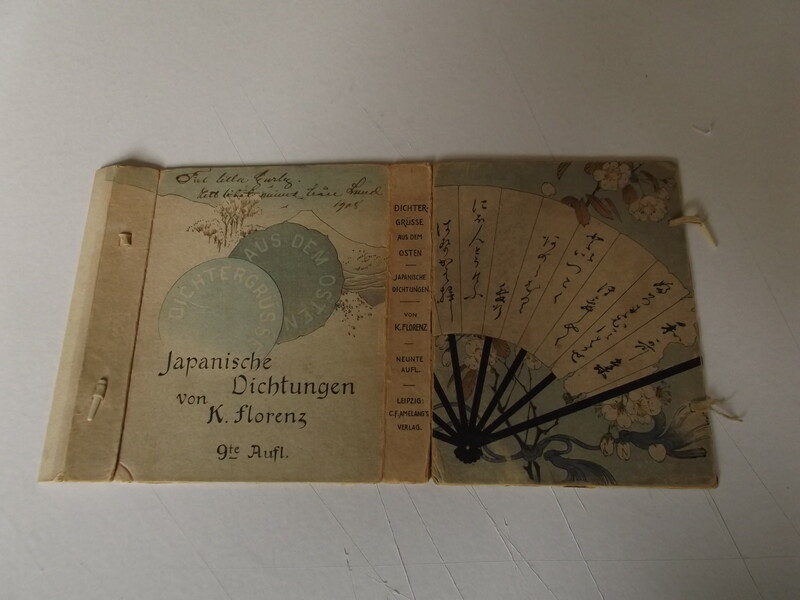 Japanische Dichtungen von K. Florenz, Tokyo 1903/05. 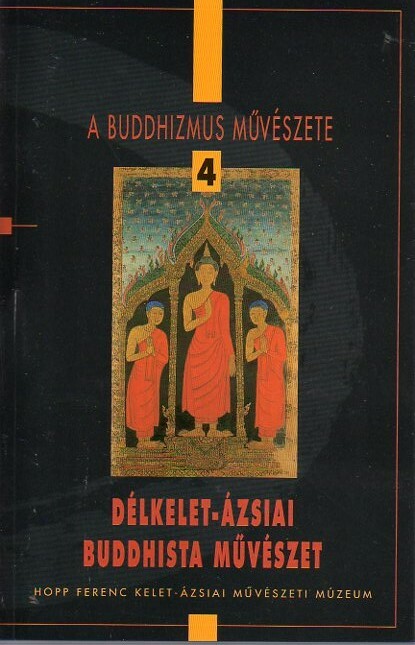 Distributed by C.F.Amelang's Verlag Leipzig. Crepe paper, 14,2 x 19,3 cm. Wrap-around case(open on top and bottom). Silk stab ties. One stab is loose. 96 numbered pages, total pages without folded covers 98. 52 folded pages(104 pages) including the covers. This is the “Neunte Auflage”, I think therefor published around 1903/05. 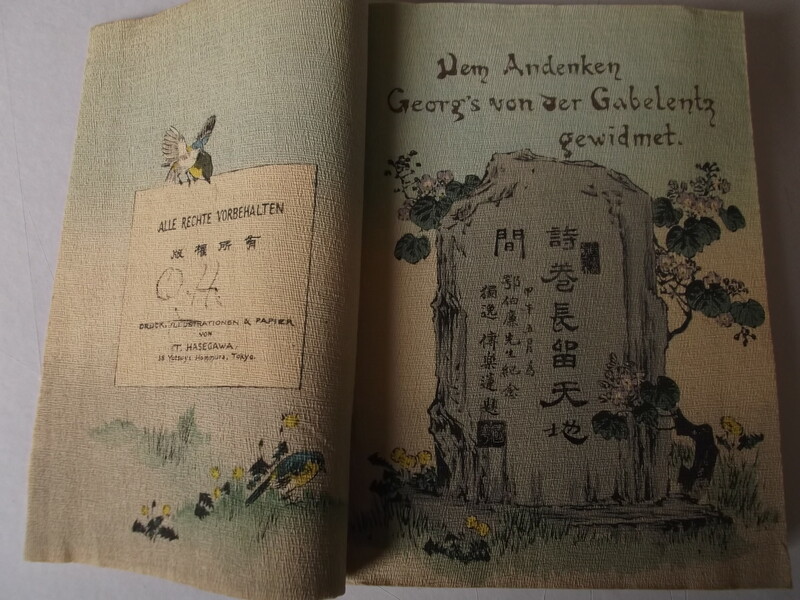 Both the book and the wrap-around cover have dedication in inkt with the date 1908. Some lettering[O and H] on page 4(see photograph). 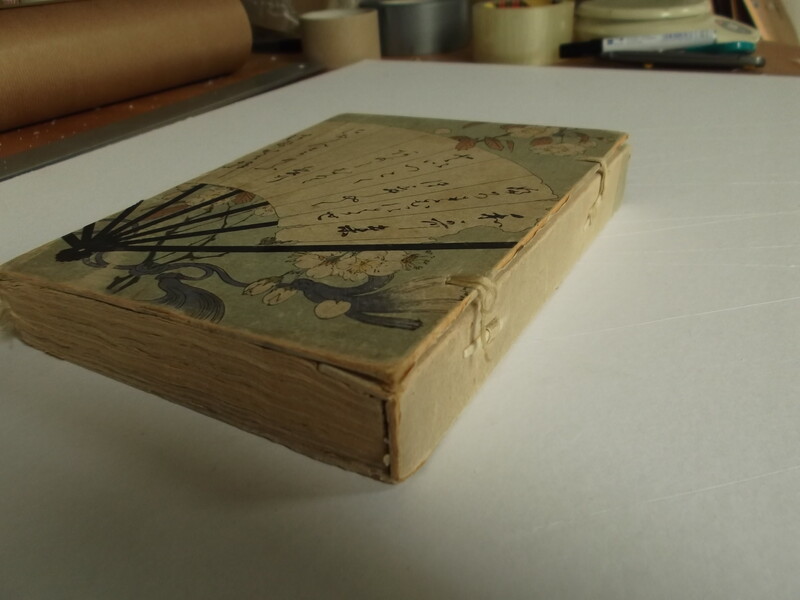 Spine of the wrap-around cover restored on inner side with tape. Condition of the book: good / condition of the cover: good. Klefisch, T. & Schümann, C-W, Duftbouquet und Spiegel Kimono einer adligen Dame, Köln 1998. Soft cover 30 x 21 cm. 167 pages 74 illustrations and 16 pages with colour illustrations. Ex library copy with usual markings. Cover left below slightly damaged(see photograph). fair to good copy. Paris, Editions de l'Abeille d'Or 1922. HENRY HEUSKEN(Translated and edited by J.C. van der Corput and R.A.Wilson), Japan Journal 1855-1861, New Brunswick 1964. Hardcover 22 x 15 cm. 247 pages. "Hendrick Conrad Joannes Heusken (January 20, 1832 – January 15, 1861) was a Dutch-American interpreter for the first American consulate in Japan, established at Gyokusen-ji in Shimoda, Shizuoka in the late Bakumatsu period. He was the interpreter for Townsend Harris, the first American Consul General in Japan.He played an important role in the negotiations for the "Harris Treaty" which opened commercial relations between Japan and America, and his assassination caused a minor diplomatic crisis between Japan and the various Western powers". COSENZA, M.E. (ed. 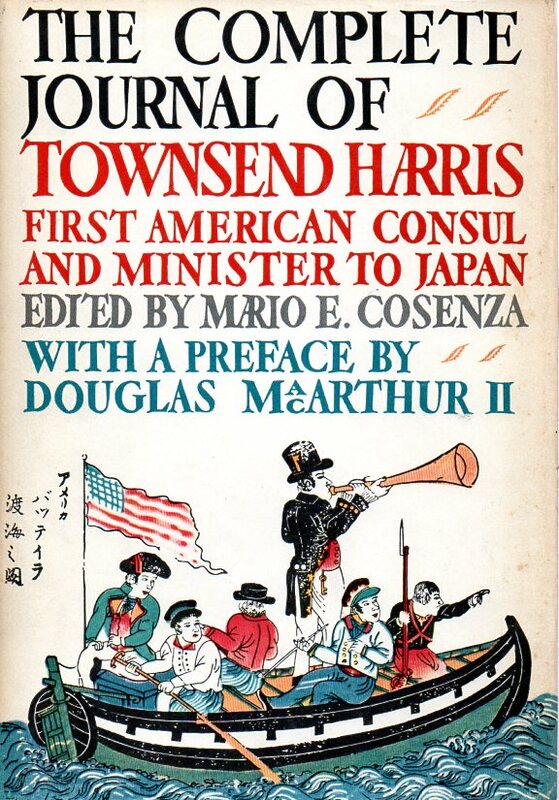 ), The Complete Journal of Townsend Harris First American consul to Japan, Tokyo 1959. Hard cover 22 x 15,5 cm. 616 pages. Preface by Douglas Mc Arthur II. "Townsend Harris, (born Oct. 3, 1804, Sandy Hill, N.Y., U.S.—died Feb. 25, 1878, New York City), U.S. politician and diplomat, the first Western consul to reside in Japan, whose influence helped shape the future course of Japanese–Western relations. A minor Democratic politician, he left New York after 1847 to embark on a series of financially disastrous trading voyages in the Pacific and Indian oceans. He was living in Shanghai in 1853 when Commo. Matthew C. Perry passed through the city on his way to Japan, which he opened to trade with the West. Harris’ bid to accompany Perry was rejected, whereupon Harris used his political connections in Washington, D.C., to have himself appointed (1855) the first consul general to Japan." HORYU-JI temple complex and its treasures, Japan 1988. Soft cover 29 x 21,5 cm. 221 pages with 225 illustrations. Text only in Japanese, captions illustrations also in English. 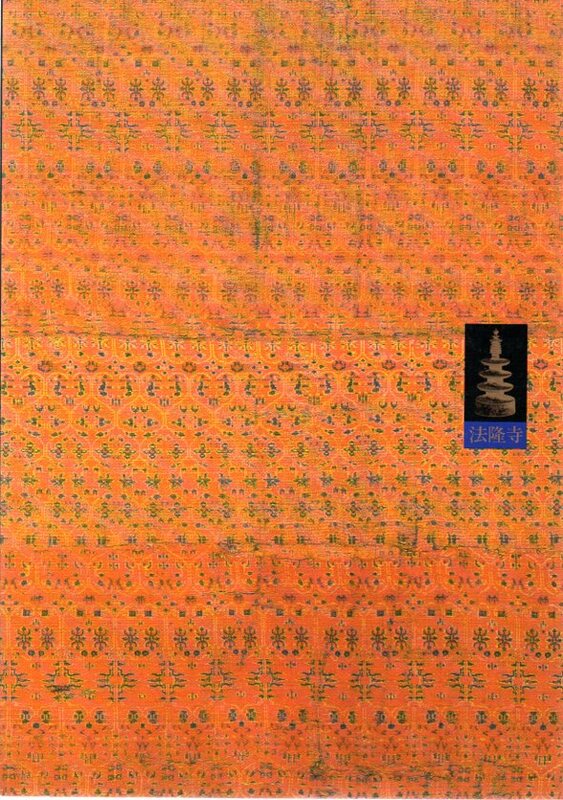 SCHOLTEN, T., KADOTAKAI Oriental Art, Den Haag 1991. Hard cover 21 x 21 cm. 203 pages fully illustrated. Text in Dutch and English. HENNY, S. & WADA JUN(edts. ), KARAKURI NINGYO Ancient festival robots, London 1985. Soft cover 30 x 21 cm. 64 pages richly illustrated.